Our Core Values guide everything we do at Activ Therapy and are the principles that we uphold and instill in all team members to help us deliver the best results each time. As a group of health professionals we have chosen Quality & Professionalism, Innovation, Community and Continuous Improvement as our 4 Core Values. Quality service for every patient on each visit. Professional conduct and care at all times by clinical and support staff. Applying evidence based approaches to injury and treatment. A progressive and holistic way of thinking about the human body. Innovation in assessment strategies to find and treat the cause(s). An innovative integration of multiple disciplines to offer the best health solutions. To offer quality health care to our communities. To engage in our local sporting organisations through quality service and care. To deliver optimum injury prevention and return to work solutions for local businesses big and small. Continuously seek better treatment and assessment techniques. To mentor staff and deliver career paths for health professionals. To teach and mentor students and young graduates. Support for growth of our professions and professional organisations. With a life expectancy of almost 5 years less than that of women, men and their health has been one of the big unspoken issues in society. Whether it be a lack of awareness, difficulty in speaking openly about health issues or simply "men being men" a change in thinking is needed. Movember is a global men's health movement pushing for change and uses the moustache as a catalyst to give men confidence to speak about their problems and bring these issues out into the open. With several male therapists and reception staff we chose Movember as one of our 2 charities to support. Since 2013 Activ Therapy have proudly been sponsoring through contribution and staff participation (from impressive to not so impressive mo growth). If you would like to find out more follow this link to the Movember website and help raise awareness for men's health. An incredible 1 in 8 women will be diagnosed with Breast Cancer in their lifetime and 7 women die every day from this disease. Breast Cancer has touched so many in our communities throughout Australia and the search continues to find a cure. The National Breast Cancer Foundation has the ambition aim of beating breast cancer and achieving zero deaths by 2030. They aim to achieve this through funding the passionate people that will research projects in all parts of the spectrum, from improving the quality of life of those who already have breast cancer, to prevention and ultimately to find a cure. Breast Cancer is a condition close to the hearts of several team members and we are proud to support the search for a cure. If you would like to make a donation or find out more on how to fundraise or help then follow this link to the NBCF website and help beat breast cancer. Volunteers required. Do you have low back pain? Persisting lower back pain is the most common form of musculo-skeletal pain and is considered the "western epidemic" due to it's impact on productivity, suffering and disability. In 2010 the Australian National Pain Summit concluded that the management of pain is inadequate. This is unsurprising given the gaps that exist in our knowledge of lower back pain. If you live in greater Sydney and have lower back pain contact the researchers. 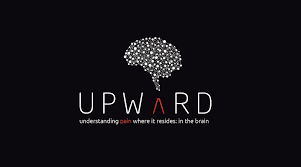 For more information please contact m.liston@westernsydney.edu.au or to volunteer go to the UPWARD page here.